Have the most commonly used diagnosis codes at your fingertips. You will want a set in each exam room and in the billing department. 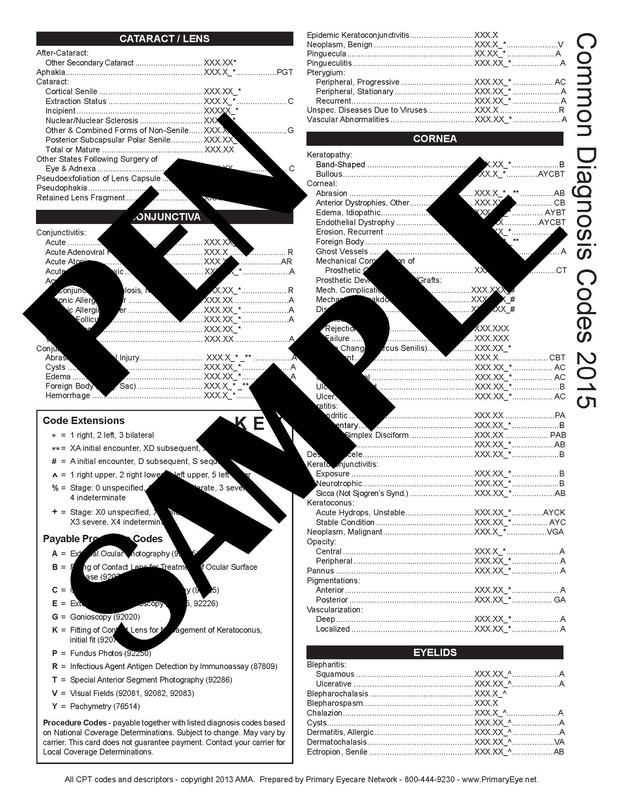 Includes a key for procedure and diagnosis codes that are payable together. Updated annually and specific to optometry.